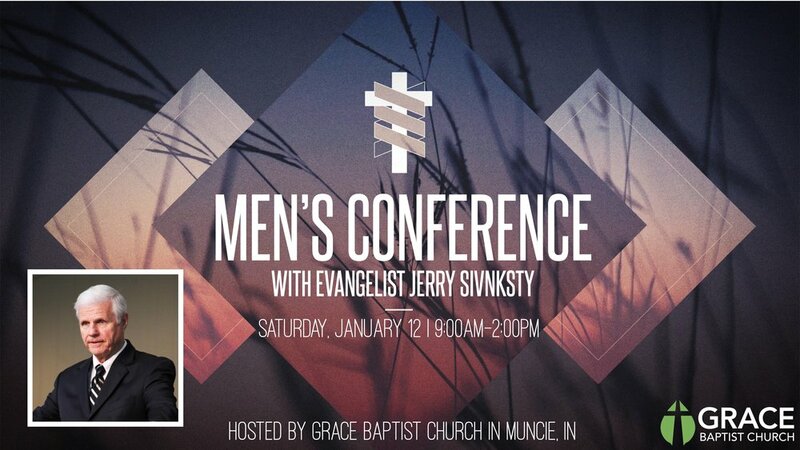 The Indiana Fundamental Baptist Fellowship (IFBF) Annual Men’s Conference is this Saturday, January 12, at Grace Baptist Church in Muncie, In (6401 W. River Rd., 47304). We invite all men and teenage young men to join us for this conference where we will hear from Evangelist Jerry Sivnksty. Refreshments will be available from 8:30 - 9:30am, if you would like to arrive in time for food and fellowship. The first session will begin at 9:30am; lunch is provided.